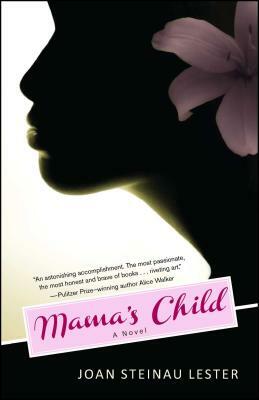 Mama’s Child is a stunning portrait of a family amidst the agony of recovery from near-drowning in the sea of racism. Joan Steinau Lester writes of the desperate vulnerabilities and the personal triumphs with a deft emotional hand that makes the struggles that have ripped apart this nation more personal than most have ever experienced. “Mama’s Child is a welcome addition to the growing body of mixed-race literature. Joan Steinau Lester’s innovation is a shift in gaze from the experience of the confused child to the often overlooked, complicated white mother. It’s a turn that’s long overdue." Who was your favorite character? Why? Did you see this character change during the course of the novel? How? Who was your least favorite character? Why? Did you see this character change during the course of the novel? How? How did the pressures of the Civil Rights era manifest themselves within the Jordan/O’Leary family? How did the mother and the daughter each handle those pressures? What was a unifying family dynamic and ethos, based on the Civil Rights Movement? What made the relationship between Ruby and Elizabeth so fraught? Why did Ruby cut off her mother for so long?Do you think a young biracial woman today would feel the same need to estrange herself from a white mother? Have you heard of, or personally experienced, a similar situation in a family—where one member leaves for a long time? Has there been some healing? How did that happen? Did you play a role? How did a theme of forgiveness weave throughout the novel? What do you imagine happened after the close of the story?